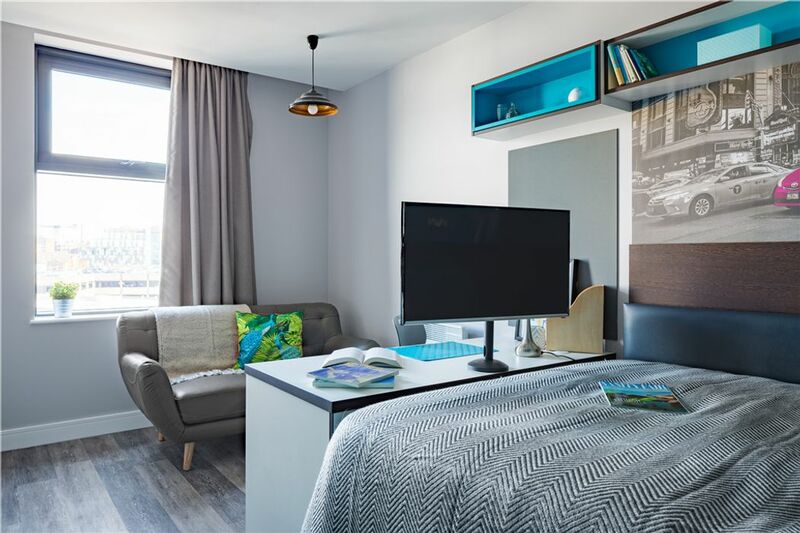 Your student accommodation is a three-minute walk from the nearest bus stop and a few steps from Bold Street, the indie heart of Liverpool. Spend the morning sipping specialty teas at Leaf on Bold Street café, or browsing radical literature at News From Nowhere bookstore. At the end of the street, you’ll find the picturesque ruins of bombed out St. Luke’s Church. After dark, head to Maguire’s Pizza Bar for drinks, live music and vegan pizza. 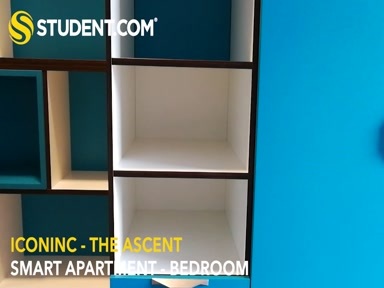 One-bedroom apartments at The Ascent provide stylish student housing in Liverpool. All your bills are included, and there’s a 24-hour concierge. 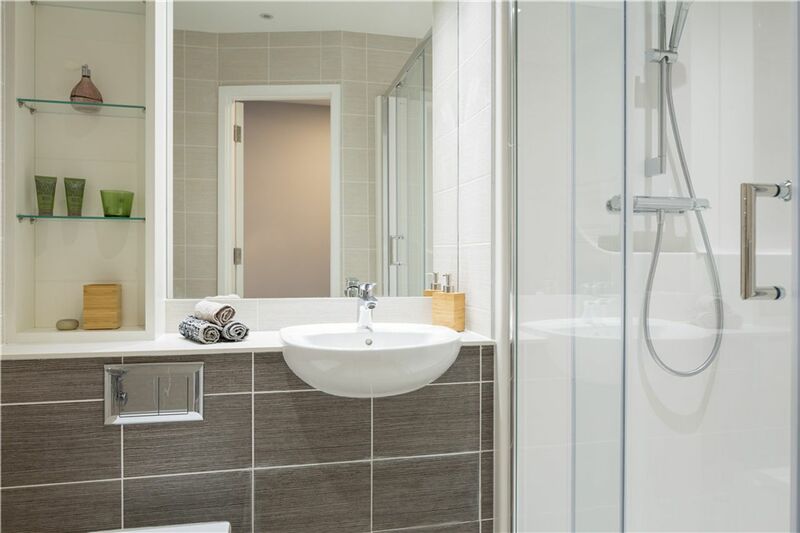 After enjoying a free breakfast each morning, you can walk to Liverpool John Moores University in six minutes, or to the University of Liverpool in 10 minutes. In the afternoon, unwind after class with a session in the games zone. Use the high-speed Wi-Fi to research an assignment at your study desk or on your double bed, or head to the study rooms instead. Your bedroom includes a 40” Smart HD TV, while the music room lets you practice in peace. When you feel like a workout, visit the on-site gym. There’s a sauna and steam room, and a laundry for your clothes when you’re done. 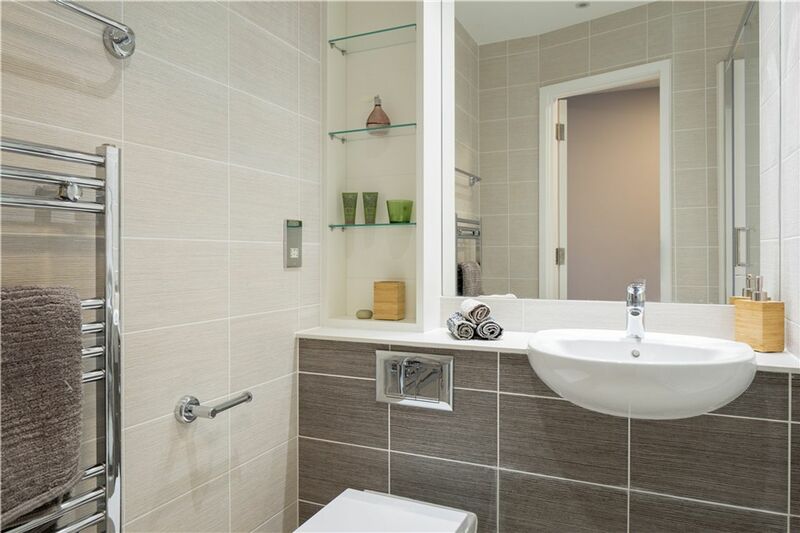 Freshen up with a shower in your private ensuite bathroom, then invite your friends over for dinner in the kitchen. Later, plan a movie night in the private cinema. 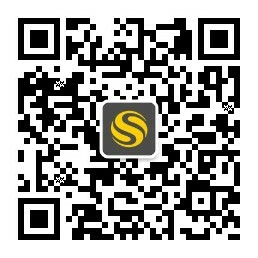 We couldn't find a room that matches your preferencesView all Entire Place in Iconinc - The Ascent.